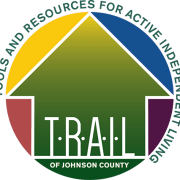 TRAIL of Johnson County, an IRC Sec. 501(c)(3) nonprofit organization, was formed when two groups of Iowa City-area neighbors and friends, who are at or near retirement age, discovered their shared interest in aging in place. Rather than moving to traditional senior-living facilities, we prefer to continue living in our own homes. But we recognize that along the way, we'll benefit from being part of a community that can offer many forms of support. And that’s how TRAIL was born. Would you recommend TRAIL OF JOHNSON COUNTY?